“Thank you very much. I am delighted with the results. I was ready to get new carpets as I had previously had them cleaned and not impressed. But thought I’d try one more time. You have done a fantastic job.” Mrs J, Danbury. If you too would like to be delighted by our service/results and would like a free quote, call 01245 227555 or try the quote/book service. Many of our customers are surprised at the colour of the water extracted from their carpets. A professional clean really is a deep down clean. Not just clean, really clean. So how does this actually work? Our new machine delivers unparalleled portable cleaning performance – it has a large capacity tank which makes light work of cleaning both domestic and commercial settings. It has a high-pressure spray to produce maximum cleaning results and a high power, twin vacuum motor to ensure carpets are left drier. The solutions we use include eco-friendly solutions, detergent free solutions, solutions safe for use on wool and fine fabrics and leather care products. We also have our Professional Spot Remover for those accidents, spills & stains that you can keep in your cupboard for emergencies. We are based in Danbury near Chelmsford but cover the Carpet Cleaning Essex area. We offer free no-obligation quotes – give us a call to find out how we can help you! Dirty water emptied from Carpet Cleaning in Chelmsford – better out than in, as they say! "We had used your service previously. I was completely happy with your service today and no improvement possible. Thank you". "Very pleased. My sofas and rug look like new." "I cannot think of anything to improve on. I had a lot of cleaning and am extremely pleased. Whole thing handled very professionally and efficiently. Very respectful of my home. Thank you." "My daughter had her carpets cleaned with you and recommended to me. The work was carried out well and efficiently. Thank you." "I had used you previously. I must say this time it was even better! Restored life to my carpet, thanks." Everything about your service was excellent. My nasty stain vanished, having lived with it for months. Cleaned my mum's house too. "Very pleased and a positive difference to our environment." "Very good and very efficient. Highly recommended." "Recommendation from my mother. Quoted Monday. Cleaned Thursday. Excellent Standard of Cleaning!" "Service was very customer orientated. Well done." "We have no hesitation in recommending 4cleanercarpets to our friends." "Specialist fabric on sofa required a specialist clean. Very pleased." "Everything was done to my satisfaction - Ian was very helpful and friendly and I have booked to have our lounge cleaned as well." "Best service from any firm for a long time." "Having used other carpet cleaners in the town, I found you to be so much more business-like and the cleaning very good indeed." We are delighted with the quality of the cleaning and the short time it took for the rug and furniture to dry. Ian was very pleasant and helpful." "Always delighted with the service and price." "Excellent. Thought carpet may need replacing but the cleaning has brought carpet back to life." We have used you before and have always been very pleased. The service and work are exemplary. Thank you. "Thorough and efficient. Not possible to improve on an excellent service." "My carpet always looks as good as new after you have cleaned it." Mr & Mrs Foley, Maldon, Essex. "Always use 4cleanercarpets. Cleaning has removed the need to replace the carpet." Mr & Mrs Hunter, Colchester, Essex. "Once again, great results. My carpet looks like new again. Always value for money." Mr & Mrs Lay, Maldon, Essex. "Very pleased with work, especially removal of bad stain. Keep up the good work!" Mr & Mrs Leete, Chelmsford, Essex. Thank you for a good professional service. "We have used you in the past and we are completely satisfied with the service once again. We have recommended you to a friend. Thank you." "Impressed by how clean/ new looking the furniture and carpets looked after cleaning. Will definitely use you again." "Was completely satisfied with your service. Compared to other companies I rang you were much more friendly and professional. Really pleased with your service. Will use you again without doubt. Thank you." "Used before and was very pleased. Very satisfied." "Excellent service. Very quick. Carpets look so much cleaner." "We are regular users of this company and have always been well satisfied with the results and service." Excellent service. From quote to completion. Thank you." 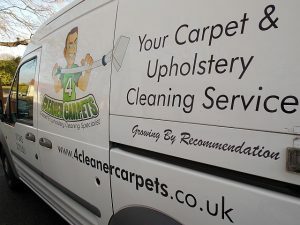 "Very pleased that I had my carpet cleaned as it now looks like new again and spruces up the whole room. Thank you." "I chose you to clean my house after seeing the results from our neighbour which were brilliant! I will be recommending you too." Mrs Dearlov, Great Dunmow, Essex. "Excellent service from first phone call to finished clean. My carpets look like new. 5*." "I was very pleased with the end result of our furniture when dry; I will be using again." Carpet Cleaning in Braintree. Two Recommendations! "I was recommended by two friends! I was delighted with the service." "Dining room chairs came up amazingly. They had been filthy and now look like new." "I was really impressed by the speed the cleaning was done, even the coffee stain on the stairs was dealt with, the rest of the job was great too. Your technician couldn't have been more helpful. Thanks." Quick response to email. Good price. Technician extremely efficient, friendly and polite." "Great carpet cleaning results, I have used you before - received excellent service. Very pleased". "Very pleased with sofa clean, Ian removed watermarks and other stains from my sofa. Used your company many years and always been pleased". "Had used you previously for an upholstery clean for a three piece suite. Very pleased with the carpets after being cleaned." "Used you before and always very satisfied with job". Thank you. "I have been using you for 10 years because you do such a very good job." "The results keep the school looking at its best"
"Used before, very pleased with results, service and price." I was impressed with customer service on my first initial phone call and very pleased with my sofa clean. "I'm completely satisfied with your service." You provided a very professional service. The sofa cleaned last Monday looks brand new. Thank you! "Have been using your company for many years. Very pleased." "Used you before always make a good job." "We expected a good job - and we got it! Very professional and reliable with no hidden extras." Thank you my sofa's look new again! I was extremely impressed with the standard of service from my first telephone call to completion. A job extremely well done. I was totally happy with the service. We had an "accident" with tomato sauce, the stain was completely removed. Friendly, professional and helpful. Carpets look like new. Excellent past performance and results. Have tried others a long time ago and no comparison! I would happily recommend and have done so to family and friends for years! Would highly recommend, a very professional and courteous service. Excellent service. Furniture looks like new. Always reliable, conscientious and fairly priced. Very pleased with how quickly you were able to clean my carpets, was also pleased with how clean they came up! I've used other companies but this is the only one I have been completely satisfied with. Excellent service. Thoroughly pleased with technician and work. Very courteous, helpful and trustworthy. Good results. I'm delighted with the results. My carpets look absolutely new and my suite looks good too. Used several times and always very satisfied. We have always used your services and are always pleased with the results. We can always rely on 4Cleaner Carpets for a good job. We were very pleased with the results which were much cheaper than buying a new suite. Was completely satisfied with your service. Compared to other companies I rang you were much more friendly and professional. Really pleased with your service. Will use again without doubt. Thank you. I've always been very pleased with the way you have cleaned my carpets. You can't improve your service. "More than happy with service - Carpets are like new!" Carpet Cleaning Maldon - A local company offering a friendly, professional and affordable service. For longer lasting cleaning results be sure to call us for a free no obligation quotation. Growing by Recommendation. "More than happy with service - Carpets are like new!" Carpet Cleaning Maldon - A local company offering a friendly, professional and affordable service. For longer lasting cleaning results be sure to call us for a free no obligation quotation. Growing by Recommendation. I received a leaflet through my door; I was very impressed with the telephone service and very pleased with the job done. I asked to be reminded to book an appointment; I was very pleased with your service last time you came and rebooked again for this year. What our clients say about our service ..
"Excellent. Not disappointed. Ian was very helpful"
Carpet Cleaning Chelmsford - A local company offering a friendly, professional and affordable service. For longer lasting cleaning results be sure to call us for a free no obligation quotation. Growing by Recommendation. "Excellent. Not disappointed. Ian was very helpful" Carpet Cleaning Chelmsford - A local company offering a friendly, professional and affordable service. For longer lasting cleaning results be sure to call us for a free no obligation quotation. Growing by Recommendation. Thank you! My carpets look like new. "I have used your services previously and have been completely satisfied. I am again. Thank you." Carpet Cleaning Braintree "Would recommend you to family and friends? Yes definitely." "Excellent service by your technician for Carpet cleaning in Chelmsford". "Very satisfied with previous cleaning by 4cleaner carpets - and received BOGOF offer." "I was really impressed, my carpet looks as good as new." 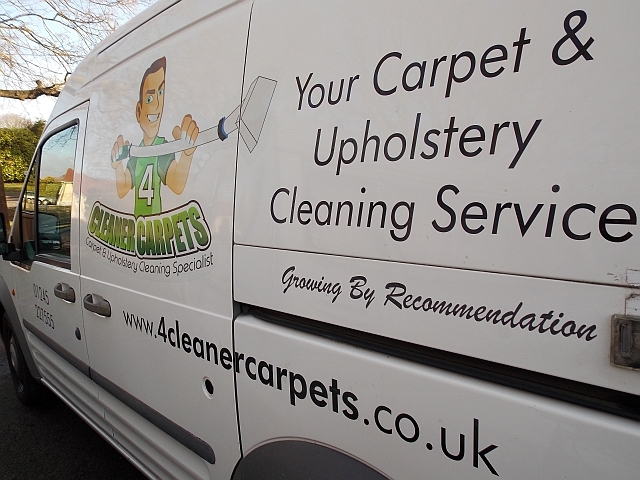 Response from 4CleanerCarpets "We're delighted that you are so happy with your carpet cleaning Chelmsford service." "I was really impressed, my carpet looks as good as new." Response from 4CleanerCarpets "We're delighted that you are so happy with your carpet cleaning Chelmsford service." Carpet Cleaning Chelmsford - A local company offering a friendly, professional and affordable service. For longer lasting cleaning results be sure to call us for a free no obligation quotation. Growing by Recommendation. "Very pleased I had the carpet cleaned as it now looks like new again and spruces up the whole room." I am delighted with the results. My carpet looks absolutely new and my suite looks good too!" "Very satisfied. Carpet looks like new." "We have used you twice before and been happy with the work." Carpet cleaning in Danbury. "1st class service with excellent results." Excellent and trustworthy to get the job done." We pledge to provide a cleaner and healthier home for you and your family, using one of the most advanced cleaning services available. Our products and experience gives us the knowledge and expertise to give carpets, upholstery, leather, curtains and hard floors the deepest clean. We know that we won't be the cheapest; however, charge a fair price for a fantastic, thorough, professional service. Copyright ©2018 Countywide Domestic Services Ltd. Address Conifers, Mill Lane, Danbury, Chelmsford CM3 4LB All rights reserved.